Blue Ice American Vodka is distilled in Rigby, Idaho by Distilled Resources. The vodka is clean and earthy and a great example of a well-made potato vodka. One of the reasons this particular potato-based spirit is so good is because it starts as some of the best-grown potatoes in the world, the Idaho Russet Burbank potatoes which Idaho is famous for. As most distillers know, when you start with the best, you end up with the best and such is the case for Blue Ice American Vodka. Often, when one thinks of potato vodka, you think mostly of Russian and Eastern European vodkas, ones that are oilier than grain-based vodka. Blue Ice Vodka pushes those notions, introducing the American public to “home-grown” potato vodka that is comparable with one of the leaders in the premium potato vodka market, Chopin. Each bottle of Blue Ice requires nearly 10 pounds of Idaho Russet Burbank potatoes, which are known for quality due to the optimum growing conditions of the western state: high altitude, warm days and cool nights and the combination of volcanic and alluvial soils. The distillation methods adapted by Master Distiller Bill Scott and the team at the Silver Creek Distillery in Rigby, Idaho are as modern as could be, relying on every technological advance in distillation available, including the four-column still which allows the process to be monitored and run smoothly to produce the best vodka they can. The vodka is filtered five times - through charcoal, a filter press, travertine, garnet or crystal, and submicron - before it is mixed with the clear waters of the Snake River Aquifer and bottled. 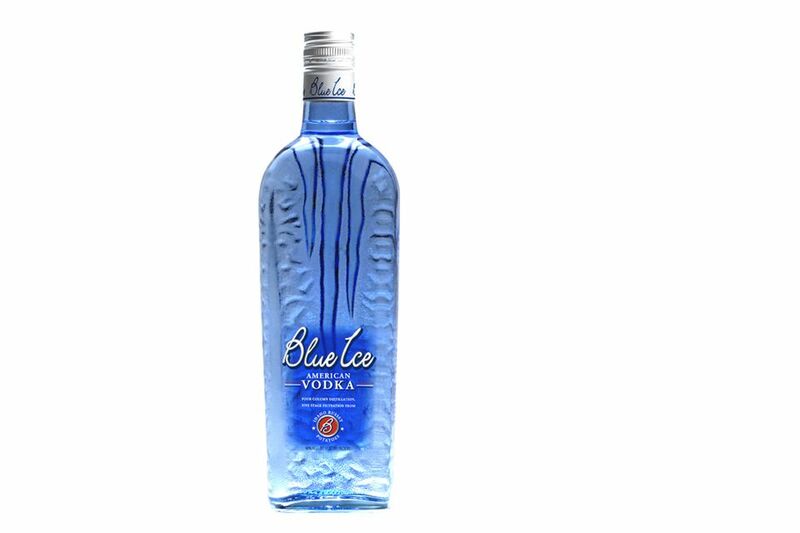 Blue Ice is a full-bodied, icy clear vodka with a sweet lemon and cherry aroma. The silky, slightly oily palate is clean and earthy with the flavor of finely grown potatoes and the lightest hints of citrus and lavender. It finishes with a sprightly, short cleanness that marks a really good, invigorating vodka. Distilled with Idaho Russet Burbank Potatoes, four-column still and filtered five times. Produced by Distilled Resources at Silver Creek Distillery in Rigby, Idaho. Carbohydrate and fat-free, 75 calories per 1 1/2 ounce. Full vodka line includes: Organic Wheat and G Vodka (multi-grain), with flavors Creme Brulee, Blue Raspberry, Island Coconut, Sweet Peach.